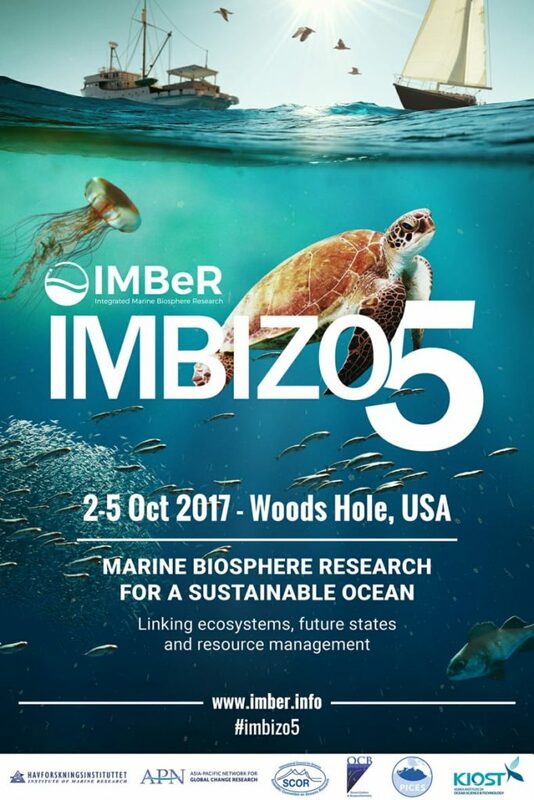 The final deadline to submit an abstract for IMBeR´s fifth IMBIZO, which will be held in Woods Hole, MA, USA in October, is rapidly approaching. There will be plenary presentations, discussions, debates and poster sessions, but the major part of the IMBIZO comprises three concurrent but interacting workshops. We have found that limiting each workshop to around 40 participants allows for good discussion and interactions. Participants are selected on the relevance of the submitted abstracts (so you must submit an abstract - by 15 June - to be considered). Limited travel support is available. Information on how to apply will be posted once participants have been notified that they have been selected to attend. IMBIZOs are great meetings, don´t miss out - submit an abstract by 15 June 2017!